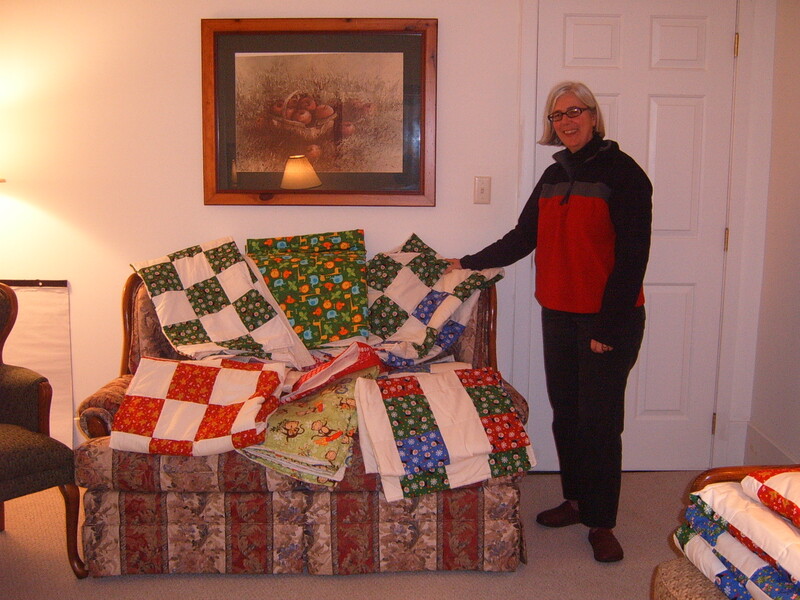 Over the holidays 16 children’s quilts will be donated to the Adams County Homeless Shelter. Our quilters have been busy. They spend a lot of time selecting beautiful fabrics in cheerful colors. We are blessed by their talent and they are glad to share this talent with others. Pictured in the photo is Annette Ehly, one of our quilters and a Consistory representative who serves on the mission committee.